Not a fan of overwhelmingly strong flavors? A popular option in sushi bars owing to its reasonable price, Tilapia (“Izumidai” or “Izumi-Dai” in Japanese) has a mild, yet refreshing flavor that makes it perfect for light bites, such as Nigiri. 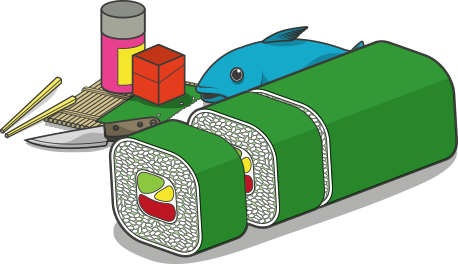 Uncooked, the medium firm texture of Tilapia is comparable to Red Snapper, and it is sometimes passed off as such by unscrupulous sushi bar owners. Not that that should put you off. A lean meat with a slight crunch, Tilapia is a fantastic choice if you like your sushi with a little texture. Izumidai bones can be a little tricky to remove (owing to their small size), which is why our filets are sold skinless and boneless. Sustainably farmed in Taiwan by Ocean Blue Products, our Izumidai is also flash-frozen from fresh to preserve its delicate flavor. Sold in 9 oz packages, our Tilapia portions are just the right size if you’re trying it for the very first time.